If there’s one thing Colts Neck drivers can say about the new Land Rover Range Rover, it’s that this model delivers all the conveniences and style you crave. With a vast amount of exterior features that stand out on the road, down to the interior styling’s that make this a luxury model, you’ll feel a sense of pride whenever you drive this down the Rumson streets. What separates the new Land Rover Range Rover from other luxury vehicles is the model’s dedication to quality and convenience inside and out. On the exterior, you’ll enjoy the smoothly contoured body style that still offers a masculine look. The shapely front grille coupled with the attractive lighting makes this model stand out. Inside the cabin, you’ll instantly fall in love with the high-quality materials that surround you in comfort, as well as the Land Rover technology that offers impressive connectivity and entertainment. Holmdel drivers enjoy having a model that gets the right type of attention, and the new Land Rover Range Rover is that model. 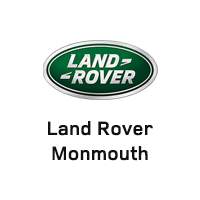 Visit Land Rover Monmouth today, located at 807 NJ-35 in Ocean Township, NJ, to check out our inventory, or contact us at 732-869-2500 to learn about our vehicle specials.